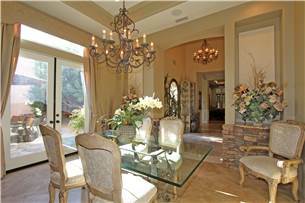 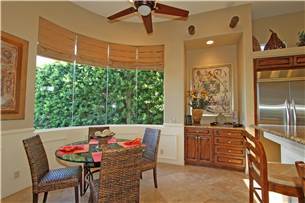 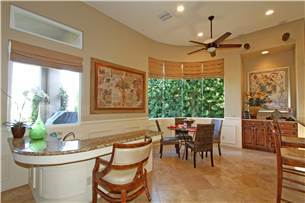 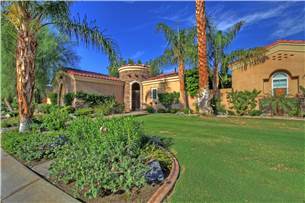 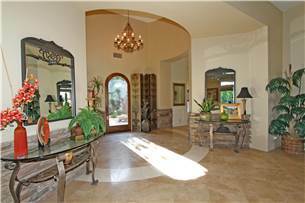 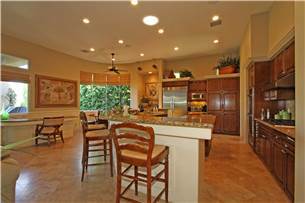 Former model home located on the 6th fairway of the Greg Norman Golf Course at PGA WEST. 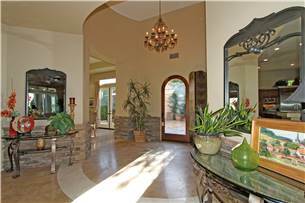 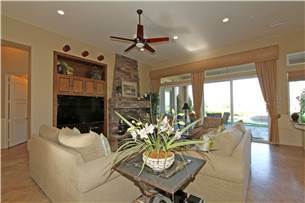 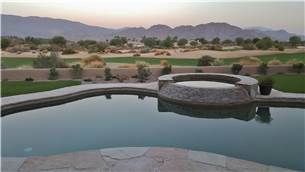 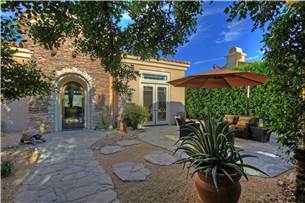 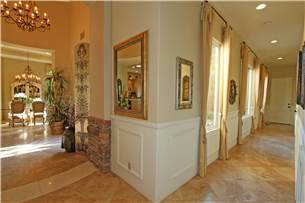 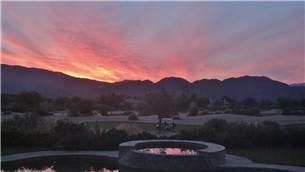 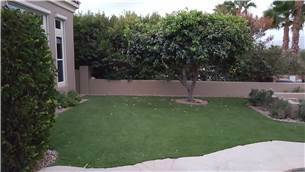 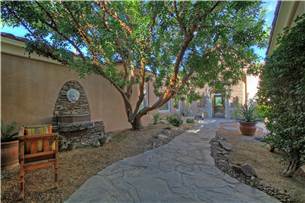 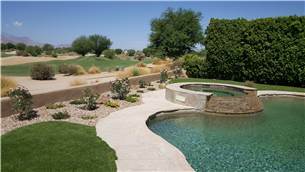 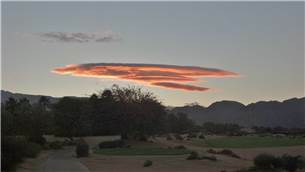 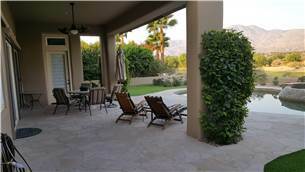 The home has spectacular west facing views of the desert-scape golf course and Santa Rosa Mountains. 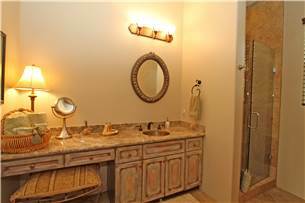 The many upgrades include upgraded fixtures, cabinets and beautiful interior stone work: travertine floors throughout (bedrooms are carpeted); stone decor in entry way, great room and formal dining room; well-equipped gourmet kitchen. 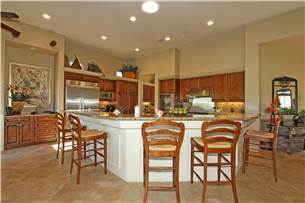 The open floor plan makes it an enjoyable experience viewing the 80 inch smart TV and DVD from the kitchen, dinette area, wet bar or living area. 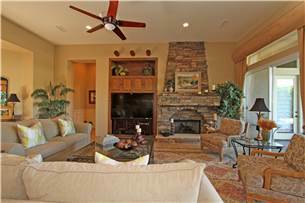 It is further enhanced by the gas burning fireplace. 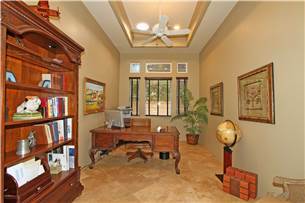 The office is equipped with high speed internet access, printer and guest computer. 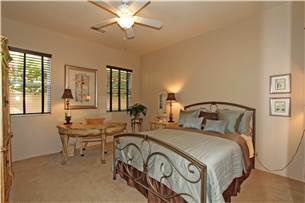 Each of the three bedroom suites has a flat screen TV and DVD player as well. 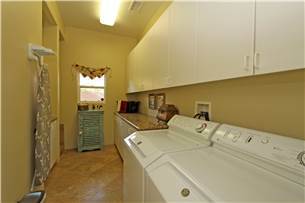 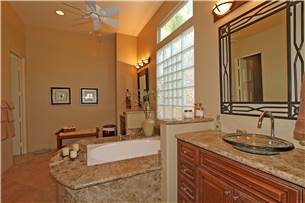 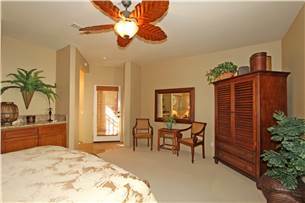 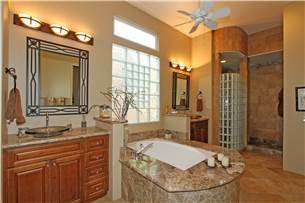 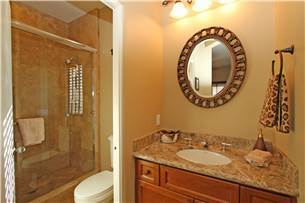 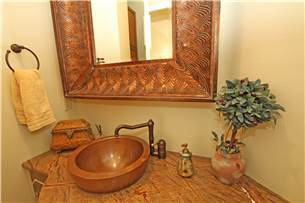 The master bath has a walk-in closet, walk in shower, bathtub, private water closet and dual vanities. 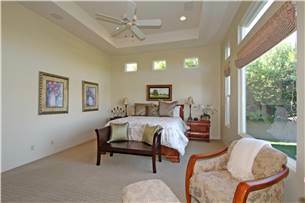 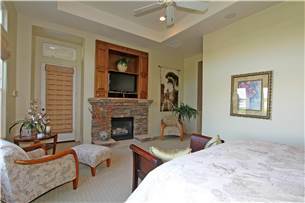 The master bedroom has a king size bed, sitting area and a gas burning fireplace. 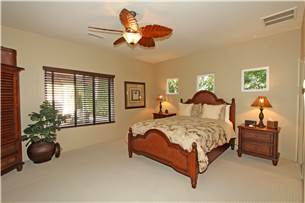 The 2nd bedroom and separate casita have queen beds and bathrooms. 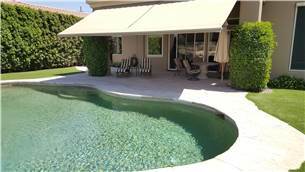 There is a spa which pours into the pool and a covered patio area with a Weber gas BBQ.